Tim and his granddaughter Busi setting off for an adventure. Tim’s passion for nature and the environment has been lifelong. His keen interest in ecology and how humans can participate in it sustainably and enjoyably led him to take on a second career, qualifying as a Field Guide in 2008, a Level 4 Field Guide in 2010 and an Advanced Mountain Leader in 2011. 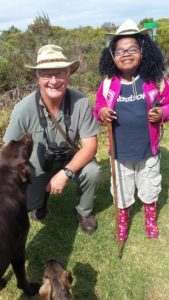 Since qualifying, Tim has taken hikers of all ages and abilities on a myriad of adventures ranging from easy coastal walks to some of the toughest climbs in the Kogelberg and beyond. 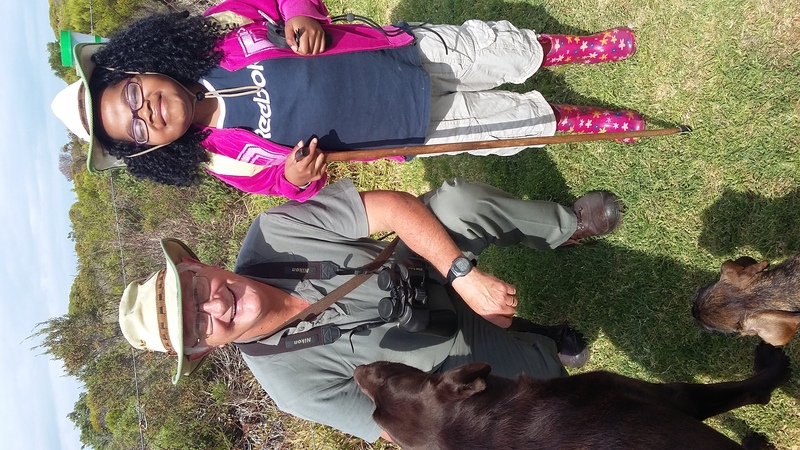 His knowledge of the ecology of the Kogelberg Biosphere Reserve is encyclopedic but is always explained in engaging and even entertaining ways along the journey according to the interests of the group. Tim’s extensive knowledge of the area allows walkers and hikers at all levels of fitness to participate in the life of the Kogelberg Biosphere Reserve, see wonders they will see nowhere else and experience true serenity along with the excitement of meeting a personal challenge. 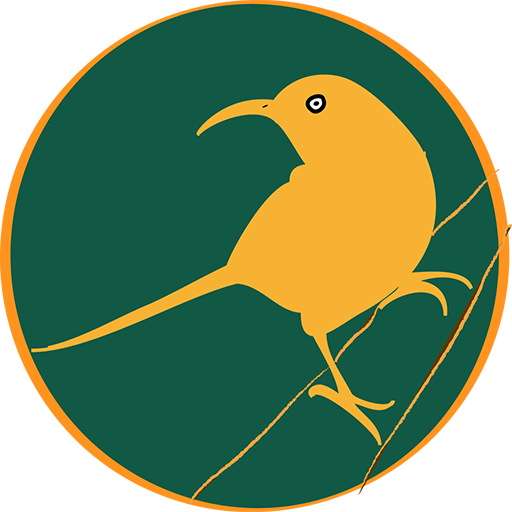 Infinitely patient and encouraging, Tim actively invites people of all levels of fitness to participate in hikes and walks that will challenge, satisfy and inspire them without causing harm to hikers or the delicate ecology of the biosphere reserve. Contact Tim to book your dream hike.